Since Cyclone Nargis devastated Myanmar in 2008, Tzu Chi has been working continuously to help survivors rebuild their homes and communities. In remote villages, they have helped children go to school; the Foundation has also provided seed rice to farmers. As a way of giving back, farmers have been saving one handful of rice every day to help others. U Thein Tun is one of them; he insists on not using pesticide and speaks good words to his seeds. Over the years, his financial situation has improved due to good harvests. He then rented an acre of field and plans to donate the rice from it to Tzu Chi. This year he attended a Tzu Chi volunteer training courses and wishes to be part of the Tzu Chi family. “I wish that the seeds can grow well and every person in the world can have enough to eat. I also pray for the good health of Master Cheng Yen. I pray for a fruitful harvest,” he said. After Nargis, Tzu Chi began its relief work, including the distribution of seed rice. U Thein Tun explained that he was very grateful for Tzu Chi's donation. 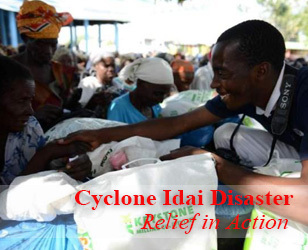 At that time, he only had half a basket of rice left in the house; the emergency relief goods saved him and his family. He understood Tzu Chi's concept of protecting all living beings; therefore, he decided not to use pesticide but to talk kindly to his rice. Each day, before he cooks a meal, he takes a handful of rice and stores it in a container; this container will later be donated to more needy people. 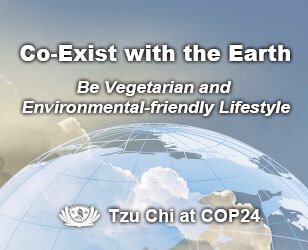 The idea uses the concept of Tzu Chi's bamboo bank to make a small donation and think about helping people every day. Thanks to his good will and good words, the life of U Thein Tu has been getting better and better. The harvest from his four acres has doubled every year. 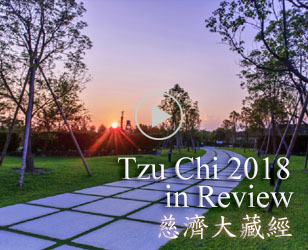 This year he rented one extra acre and plans to donate the rice to Tzu Chi. “He (U Thein Tun) now has his own paddy field and his own cattle. In the early days, he had to borrow from others,” said Tzu Chi volunteer Kao Tzu-Ren said. During the training course, U Thein Tun wore a white shirt and trousers. Because he is a farmer, he never had a pair of white socks; volunteers prepared one for him. “When I am a difficult situation, Tzu Chi has come to help me. I think the only way to repay that is to spread love to others.” he said. He has a pure belief in giving back. When he heard that Tzu Chi was helping to rebuild 12 damaged schools in remote areas, he volunteered to provide assistance. In the eyes of other volunteers, he is a role model.